On July 31st on Facebook, Stand With Us, a pro-Israel organization, welcomed Garnier products – which belongs to worldwide beauty giant L’Oréal – being offered to soldiers of the criminal Israeli army. Stand With Us has published a photo to Facebook which has been shown around the world. For more information, you can read this article written by Les Echos journalist Aurélie Abadie by clicking on the link below. The outrage is worldwide. Social media have taken hold of the photo. The call to boycott Garnier and L’Oréal has been widely reported. 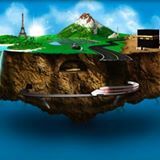 Oum Noussayba is a mother who uses Twitter. This afternoon, she published a photo of an email she’s sent to L’Oréal. It reads that she won’t be using any of their products anymore and that she is going to boycott all of their brands. Here it is. A few days ago, I discovered in awe a photo of Israeli soldiers proudly posing with products of your brand, Garnier. 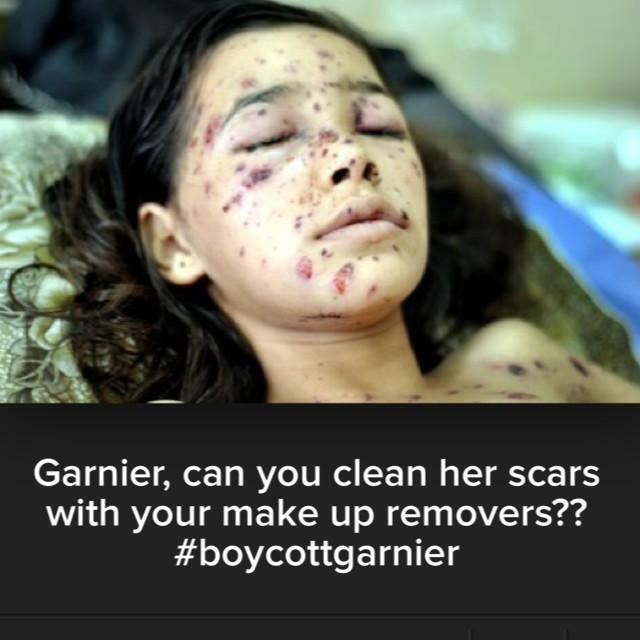 In fact it seems like Garnier has generoulsy offered beauty products, out of patriotism, to Israeli soldiers. To me, this was an insult, considering that people are being slaughtered, kids playing on the beach are being bombed… It is a catastrophy in terms of health issues, mutilated bodies are being piled on because of lack of room in morgues. However, Garnier has chosen to proudly take care of the most immoral army’s beauty. I also commit to sharing the call to boycotting your brands on social media. I boycott L’Oréal, because Gaza’s worth it. Once more, this is a striking example of someone acting on their own not waiting for anyone, any meeting, any organization, etc. The boycott, just like any collective action, starts with oneself. Never wait, do what you’re able to do. This can never be stressed enough : a lone internet user is just like a lit cigarette that was thrown away in the forest during summer time. The fire can spread very quickly and get out of control. If we want this boycott to work and grow, we have to make more of these individual actions. We are like David. Anyone on their own cannot defeat Goliath. However, Goliath can’t do anything about thousands of Davids. Provided everyone realizes, not only that they are a David, but that also thousands or millions of Davids may rise. Let’s not wait anymore, let’s rise. well done ! boycott every products and every brands which stand for Israel !